Wednesday the 15th July 2015 will probably be one of those times that Sir Peter Hendy will hold dear in his life, for on that day he spent his last hours working as the Commissioner of Transport for London. 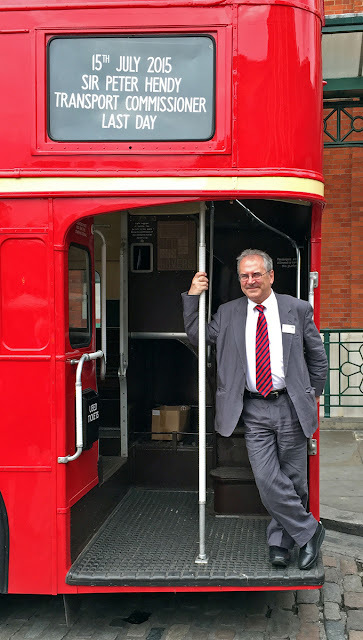 Perhaps though use of the word 'work' may not have been applicable on the day, as he took some time out with one of his passions, riding through London on one of its iconic red buses. 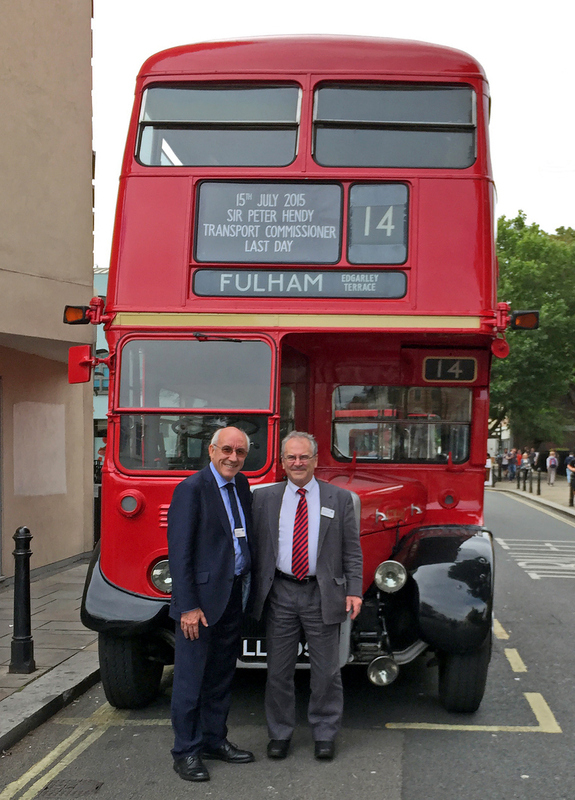 Along with close working associate Leon Daniels the Managing Director Surface Transport for London, he rode the bus through central London over part of the long established route 14 (Putney Heath & Warren Street Station). Photocalls were made along the way and a special blind display had been produced celebrating Sir Peter's last day. The bus used was fleet number RTW 467 once one of 500 all Leyland built Titan PD2/3 type produced for London Transport from 1949. Whether the bus and Sir Peter initially appeared around the same time, we leave for others to surmise. Needless to say both provided sterling service whilst in London during their respective periods. 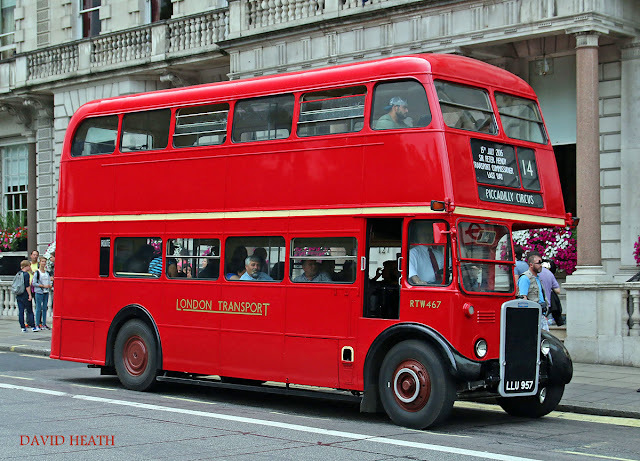 The bus has, since withdrawal from front line service been kept in a remarkably preserved condition and is often seen around London on special event days. David Heath who provided the image, captured the bus as it passed along Piccadilly by Green Park.